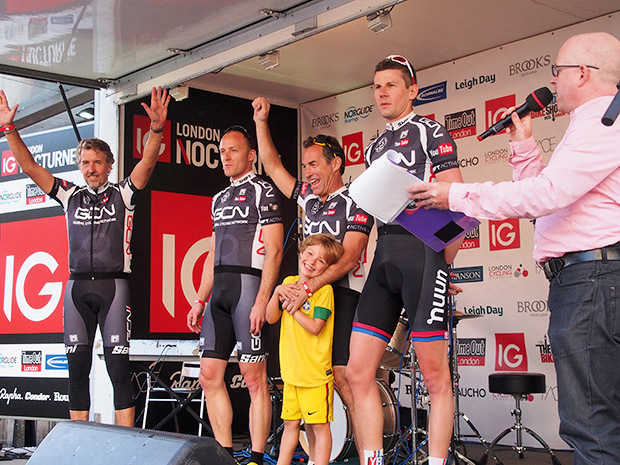 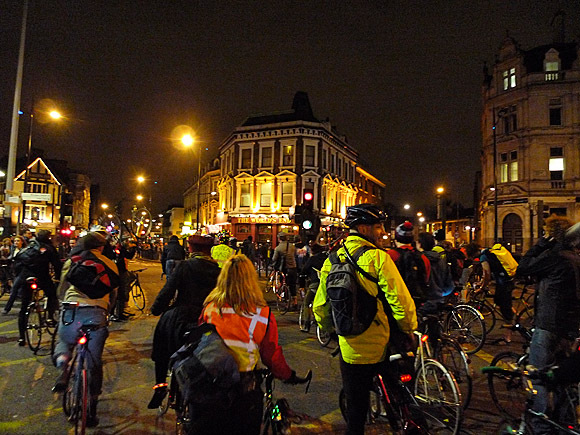 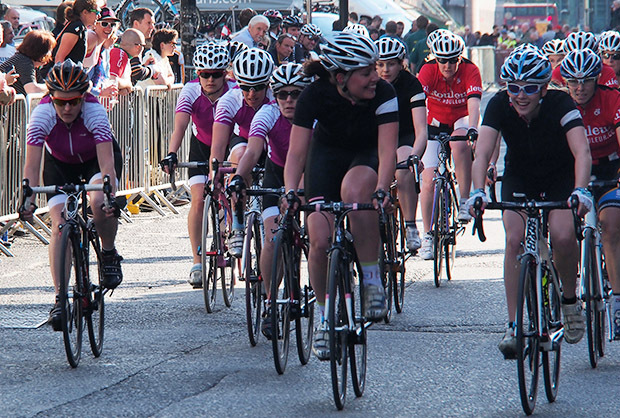 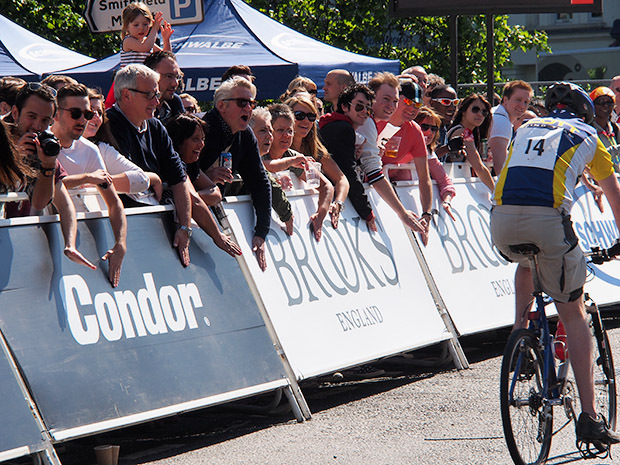 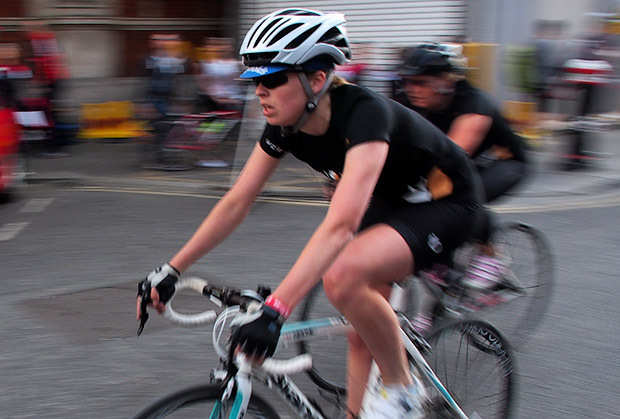 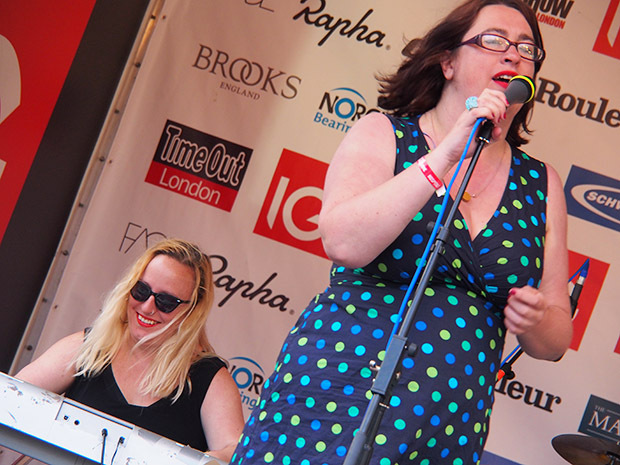 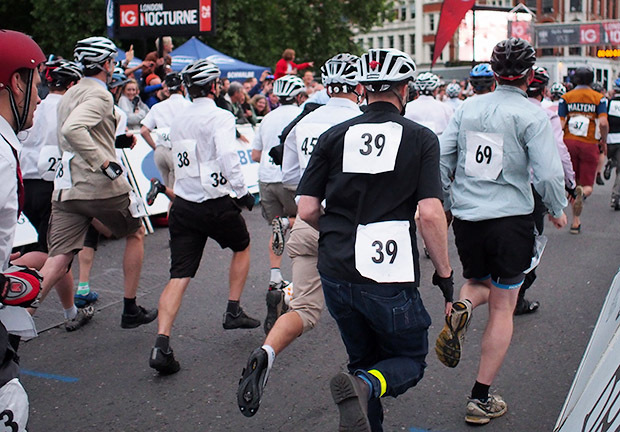 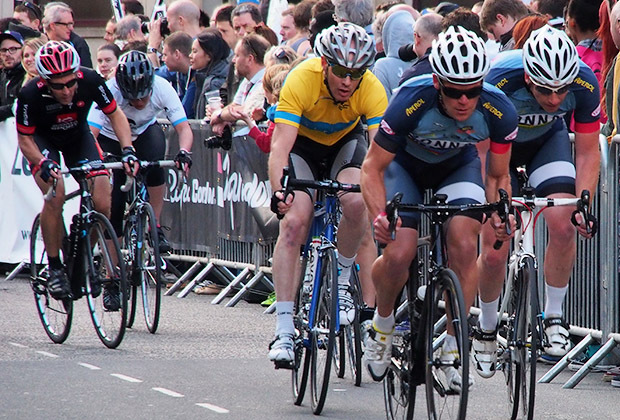 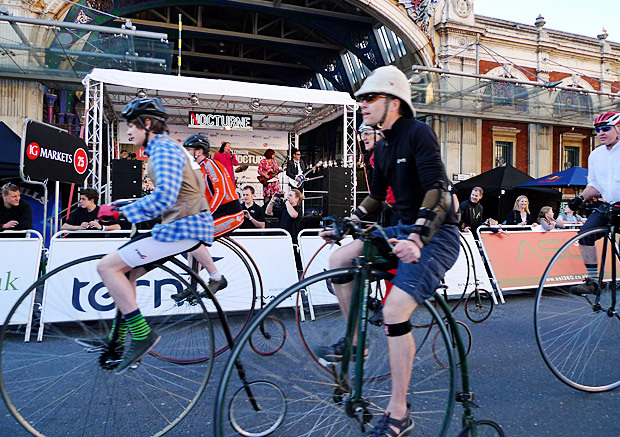 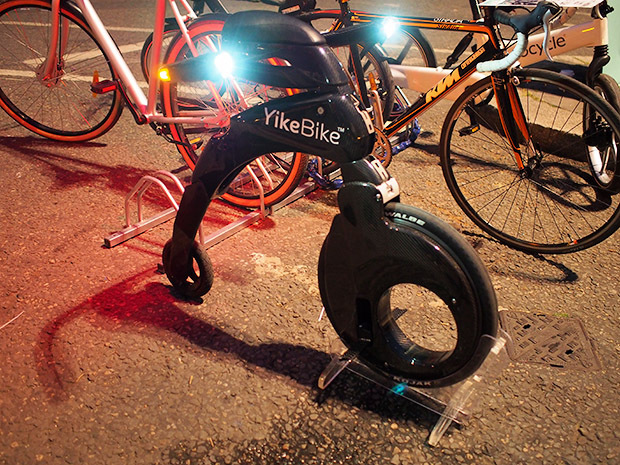 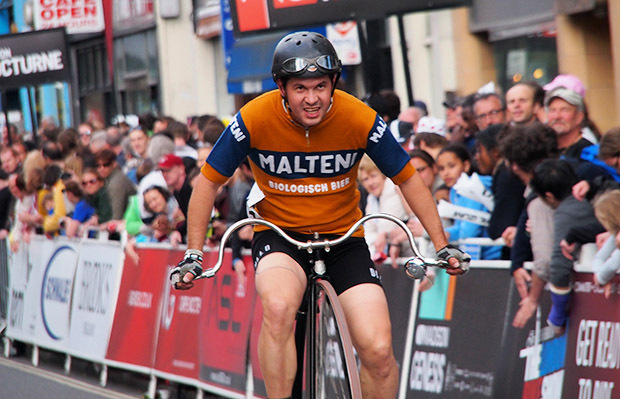 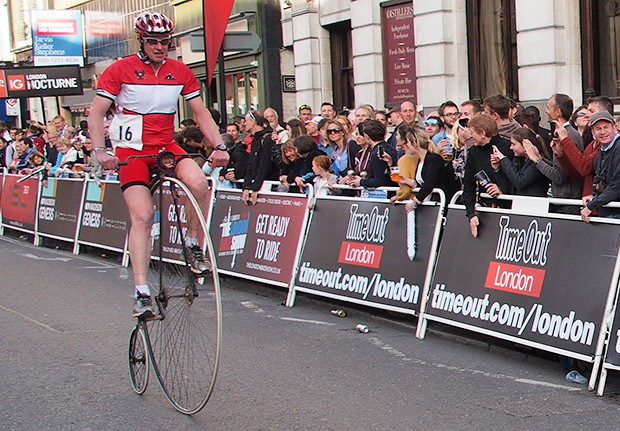 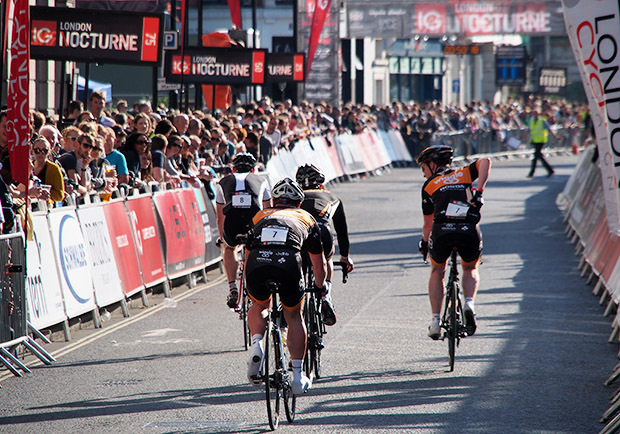 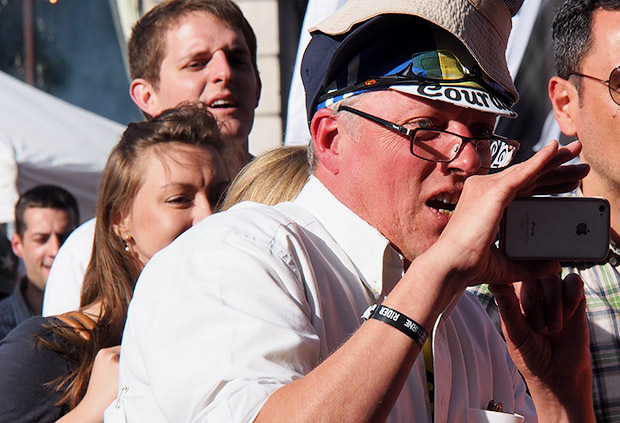 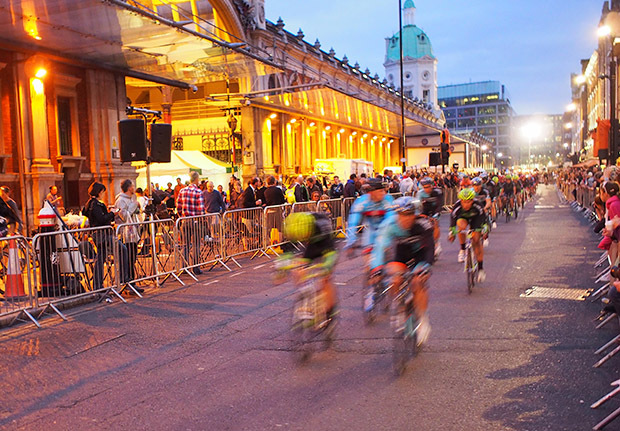 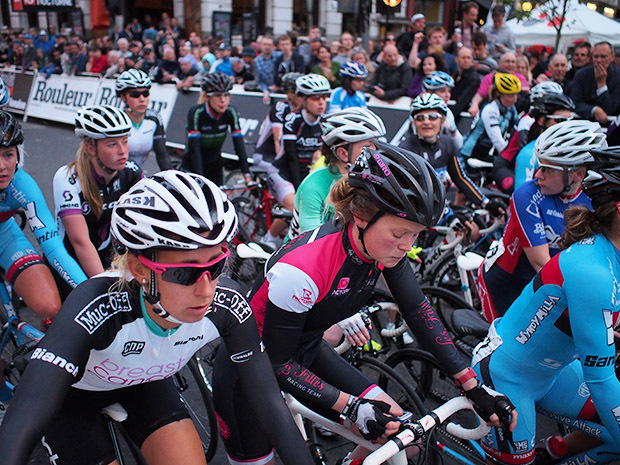 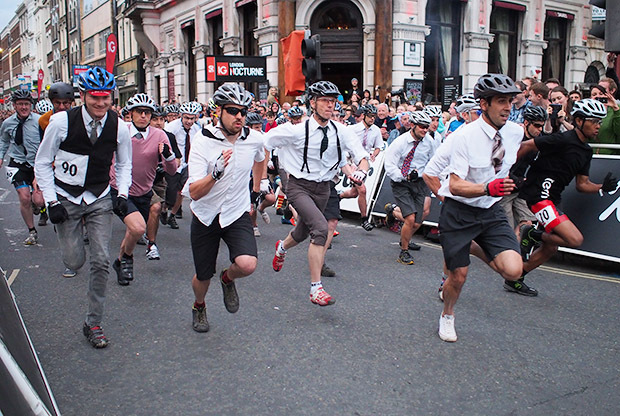 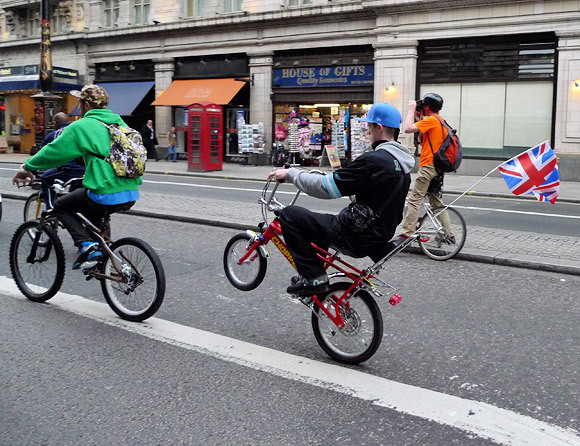 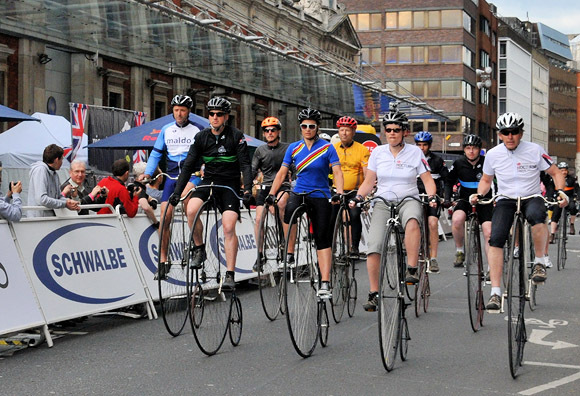 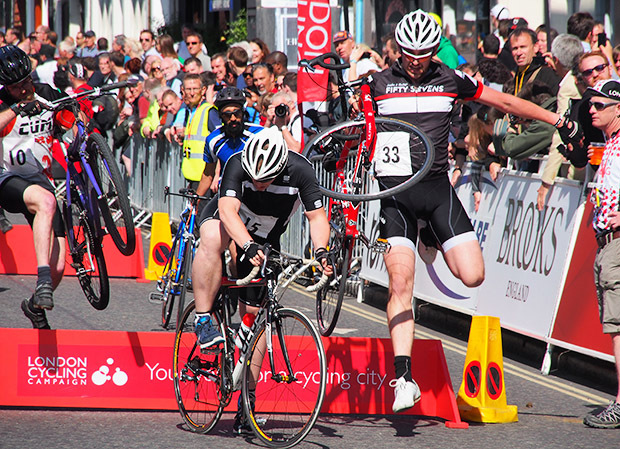 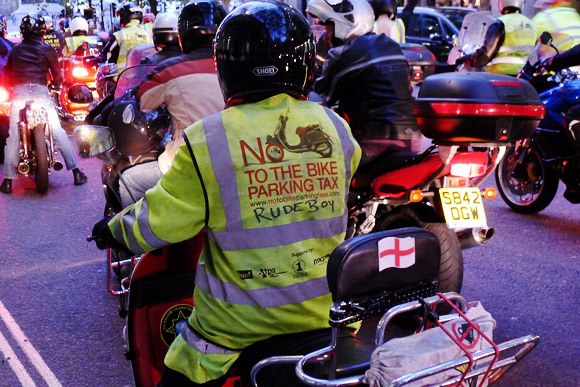 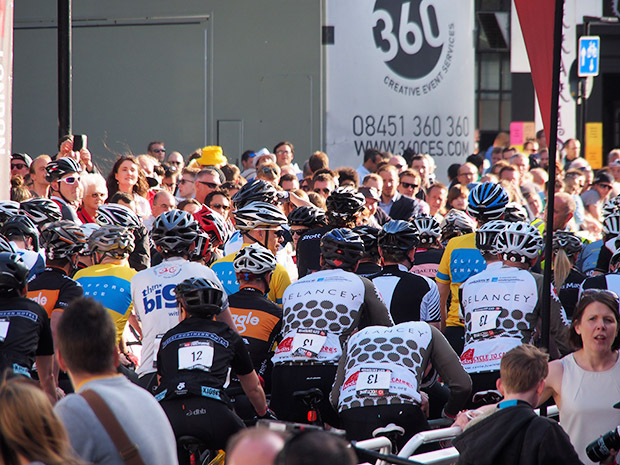 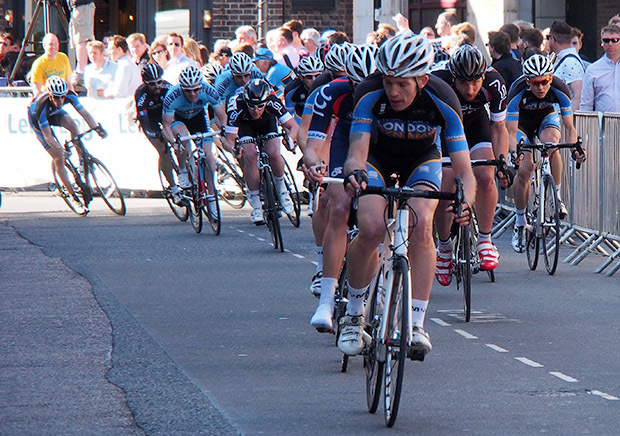 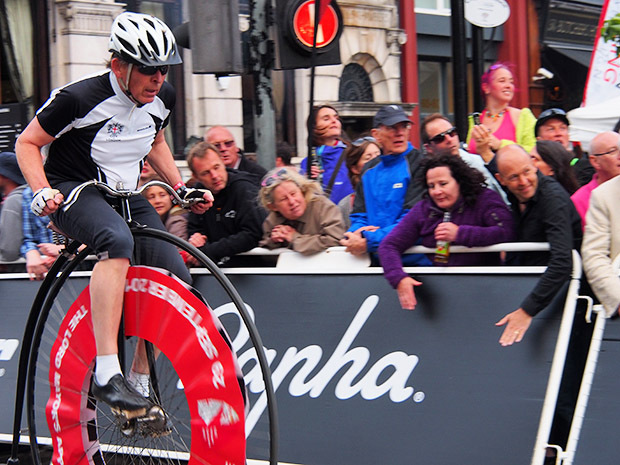 There was glorious sunshine, Penny Farthings hurtling around the track, folding bike races and some top notch professional cyclists to be seen at the 2013 London Nocturne – plus the Mrs Mills Experience onstage! 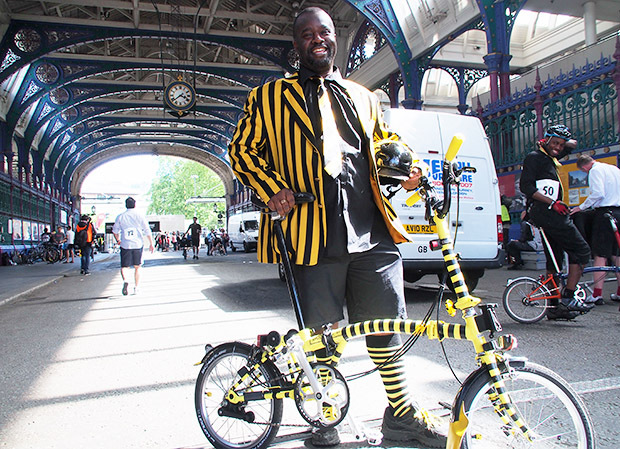 Nattily attired cyclist gets ready for the folding bike challenge. 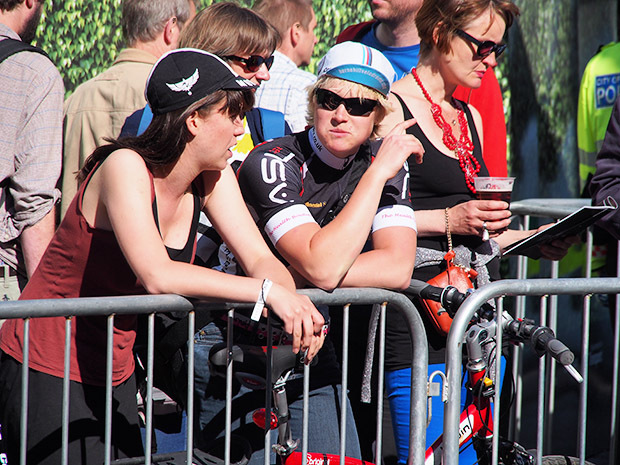 The crowd were lively all afternoon. 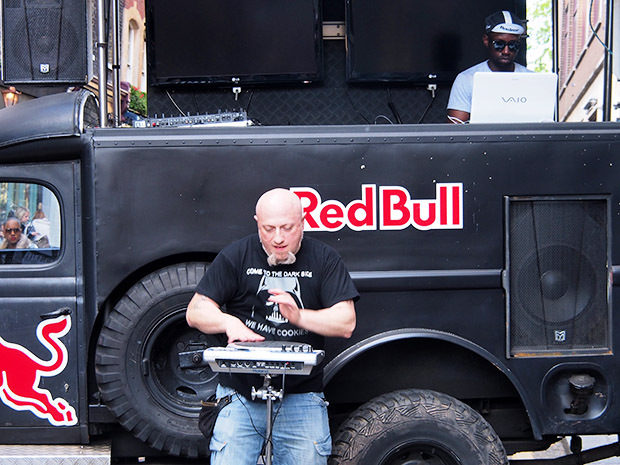 I didn’t quite get the point of this: this bloke played ‘electronic’ congas over a house mix. 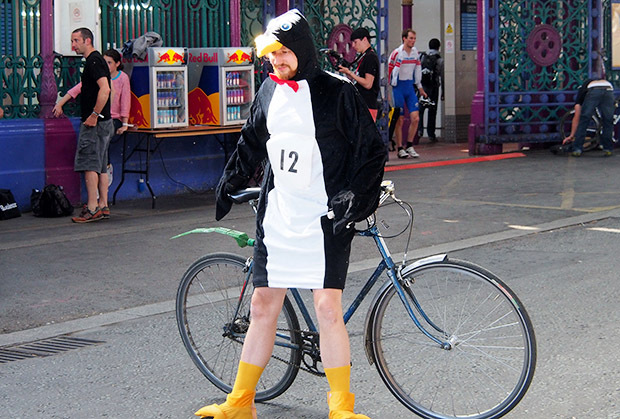 Warming up for the race. 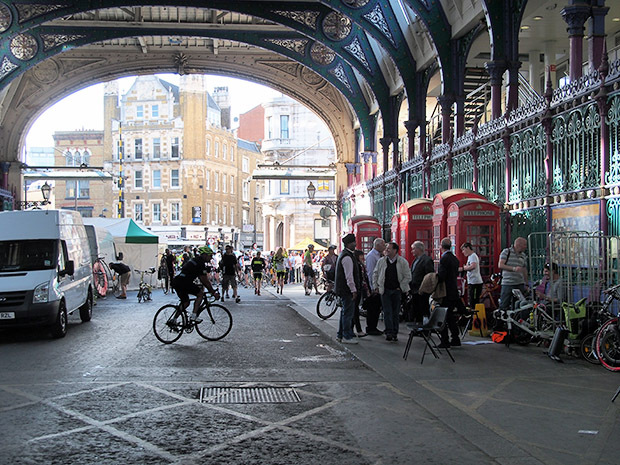 Inside Smithfield market where cyclists prepared for their races. 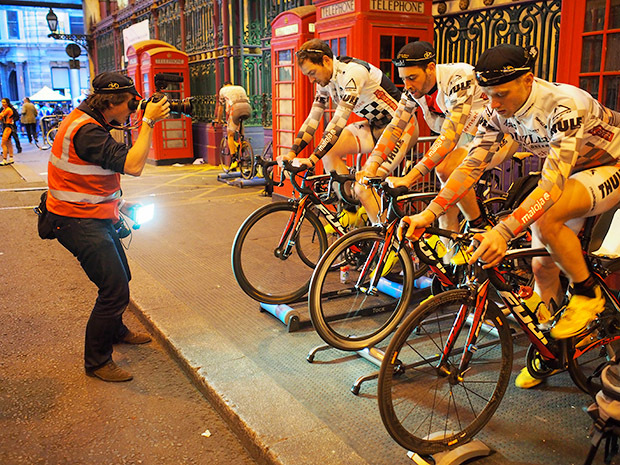 Ready for the starting gun. 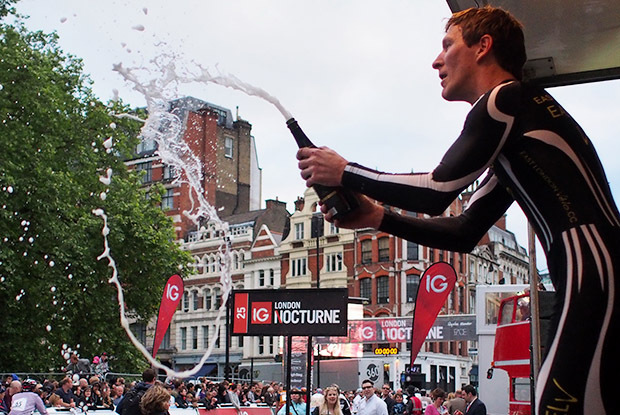 A winner celebrates in traditional fashion. 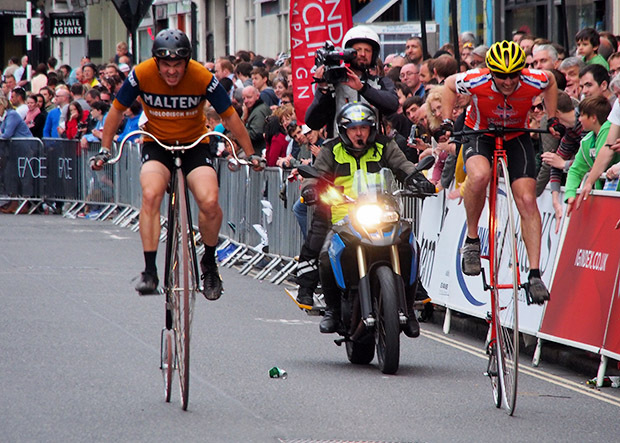 The Penny Farthing race is on! 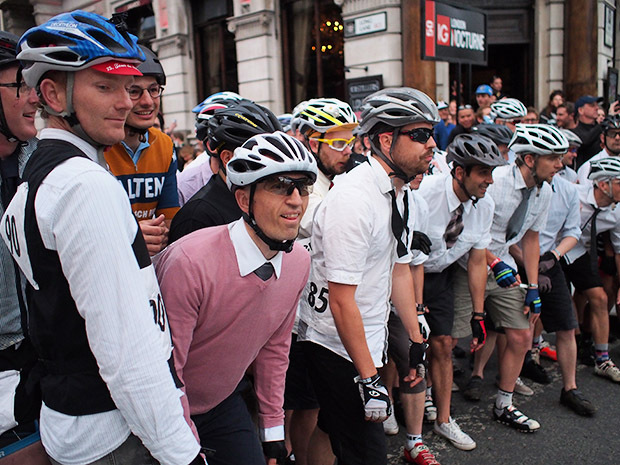 Lining up for the folding bike final. 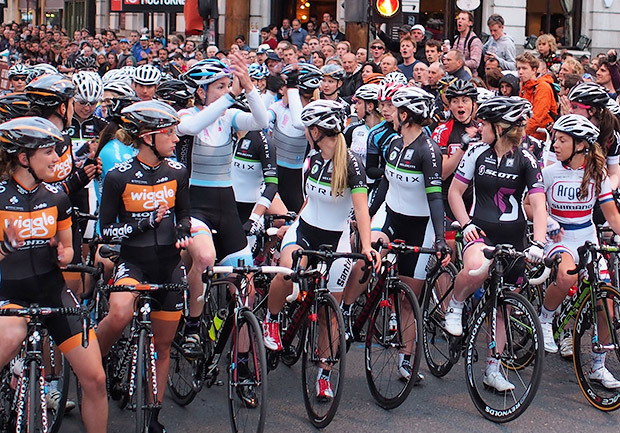 Riders for the elite women criterium at the starting line. 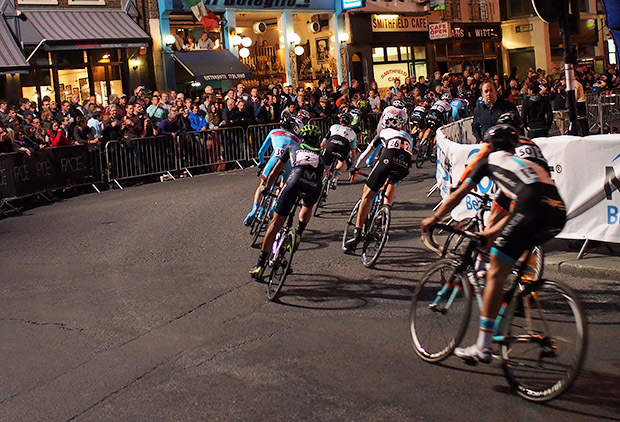 The last race of the night. 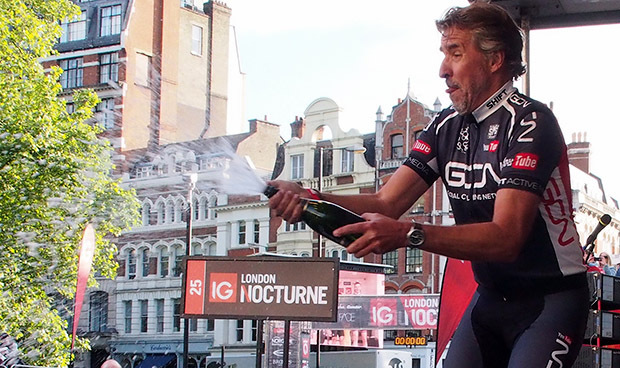 Read more about the event on the official Nocturne site. 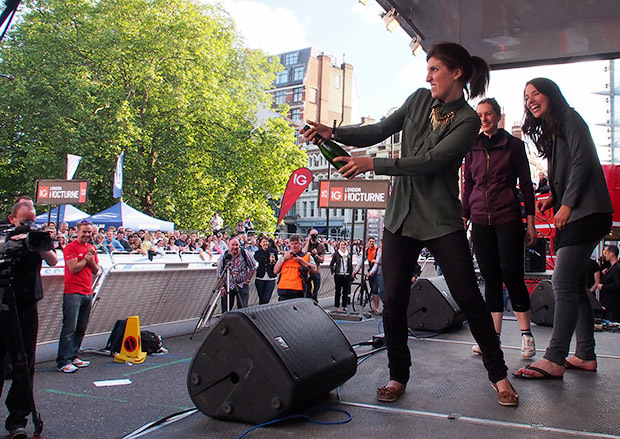 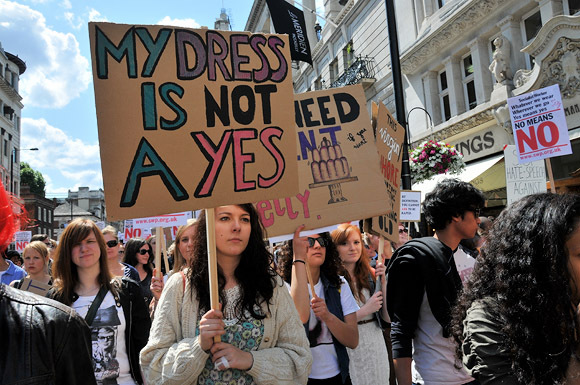 Additional photos © Em Mosley and Ben Harding.